I am not one to subscribe to beauty boxes, but when I saw that Curlkit was celebrating their 3rd birthday, and was giving 3 full size products in their box for the month of March from Dark & Lovely, I just had to subscribe to get that box. 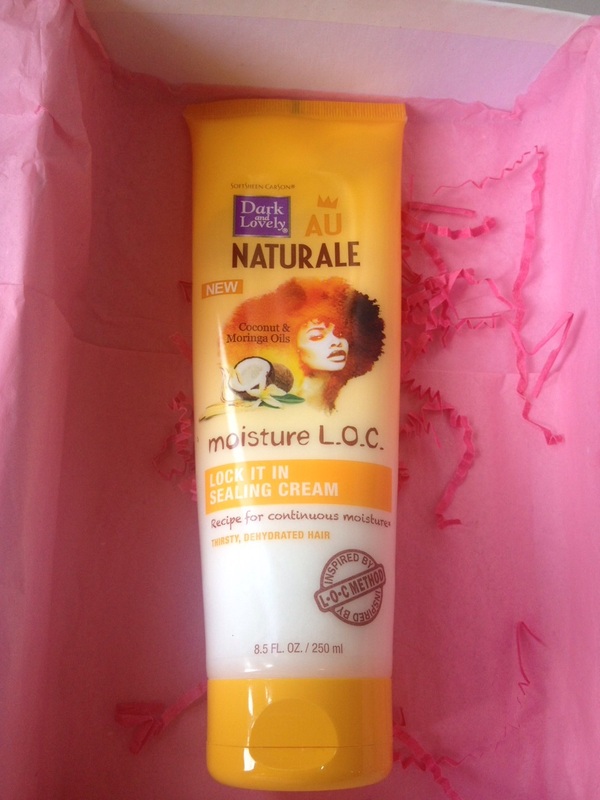 I received the Curlkit with the Dark and Lovely Au Naturale products along with a Wide Tooth Comb and a Terry Turban, I was so excited to try out the products which was inspired by the L.O.C method. I tried out the products and overall my experience was not as great as I thought it would be. I must start by saying my favorite thing about the products is it’s fragrance, “OMG”, it was amazing, the smell is excellent. However it takes more than just a fragrance for me to be sold on a product. The first product following the L.O.C steps in the Au Naturale Moisture L.O.C Collection is the Super Quench Leave-in Spray, the second product is the Soak it Up Oil cocktail and the final product is the Lock It In Sealing Cream. All three products contains Coconut & Moringa Oils. I would say that yes my hair was moisturized but not to the point that it felt really moisturized, I have had way better moisturized hair with other products and thus my disappointment. My hair felt ok, it wasn’t like dry or crisp as the products did add moisture, but it wasn’t the best I have felt my hair. Overall the products are ok, I don’t think I will purchase them individually by themselves, the only one that I may consider buying is the cream as the curl definition I received from using it was superb, I twisted up my hair after doing the steps and when I untwisted my hair, it was well defined, I contributed that to the cream as I re-twisted it using just the cream and I rendered the same results. Below I give my views on the individual products. Texture – I will say that the spray mixture is thick, it’s a thick liquid, but it is light weighted, when I sprayed it into my hair, it wasn’t like watery runny, it was like a soft product. Fragrance – Amazing, smell is really good. Will I buy again – No, I will not. 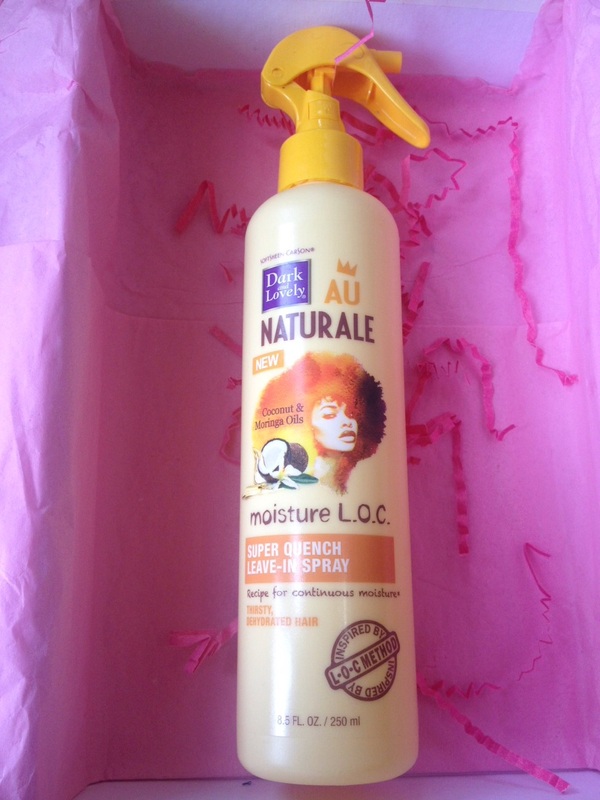 How I used it – On sectioned damp hair, I sprayed on some of the product and smooth it through my hair. I was really heavy handed with spraying it as it wasn’t really feeling like product was being added onto my hair, the product is really light weighted. Fragrance – Great smell just as the leave in. Texture – Light weighted as well, loose oil, not thick at all. Slip – Slip is good, as I finger detangled a little with it. 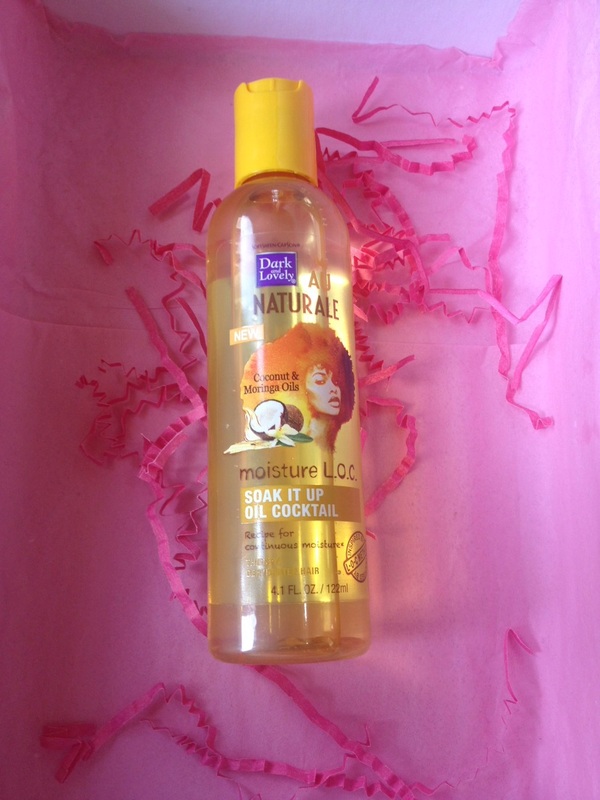 How I used it – After I applied the leave in, I rubbed it onto my hair. Texture – It has a thick consistence. Fragrance – Great smell as the other products. Slip – There was some slip as I was able to finger detangle with it much more than the leave in, I found that the leave in didn’t have any slip really. Will I buy it – Probably. How I used it – I applied it to my hair after I rubbed the oil onto my hair, slightly finger detangle with it as I massage it into the hair. I did like the definition I attained from using this product. This is he first review of these products I’ve seen. Most people (myself included) have just been posting unboxings. I see that you liked the cream. That’s the one product I’m most interested. I’ll start trying these out once I’m through with products I’m already using. Yea, not much people have done reviews yet , but I await to see reviews to see what are other people thoughts on the products, I saw NaturallyNellzy did her review , she seems to like them but she said she thinks they will be better if incorporated with some of her own products. The cream was definitely my favorite out of the products, I await your review and thoughts on them as well..